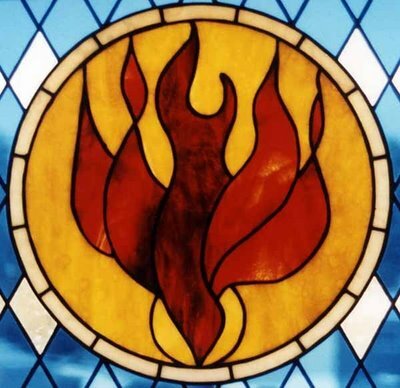 What does your research and historical documentation have to say about the validity of the statement that "the evidence of your being filled with the Holy Spirit is manifested in the saved person by speaking in tongues" and what is the difference between receiving the Holy Spirit and being filled by the Holy Spirit? Thanks for your letter. I believe that this is a very timely issue as many people have been confused by the rather loose use of terminology used to describe very important points of Christian doctrine. Indeed, I've even seen well-respected pastors, who are otherwise solid doctrinally, mix up ideas about the Holy Spirit. The Spirit of God indwelling the believer at the point of conversion is known as regeneration. In this way we are "born of Spirit" (John 3:6) and we are made new creations and given a new, righteous nature in addition to our old sinful nature. In fact, Romans 8 states "(5) For those who are according to the flesh set their minds on the things of the flesh, but those who are according to the Spirit, the things of the Spirit... (9)However, you are not in the flesh but in the Spirit, if indeed the Spirit of God dwells in you. But if anyone does not have the Spirit of Christ, he does not belong to Him." So anyone who is saved must by definition have God's Holy Spirit residing in themselves. The question is raised, then "is there a difference between the indwelling of the Spirit and the baptism of the Spirit? And what is the filling of the Spirit?" To answer these questions, we must look at one more important passage of scripture - 1 Corinthians 12:1-13. In order to maintain context, I will reproduce the entire passage below. Now concerning spiritual gifts, brethren, I do not want you to be unaware. You know that when you were pagans, you were led astray to the mute idols, however you were led. Therefore I make known to you that no one speaking by the Spirit of God says, ""Jesus is accursed'; and no one can say, ""Jesus is Lord,' except by the Holy Spirit. Now there are varieties of gifts, but the same Spirit. And there are varieties of ministries, and the same Lord. There are varieties of effects, but the same God who works all things in all persons. But to each one is given the manifestation of the Spirit for the common good. For to one is given the word of wisdom through the Spirit, and to another the word of knowledge according to the same Spirit; to another faith by the same Spirit, and to another gifts of healing by the one Spirit, and to another the effecting of miracles, and to another prophecy, and to another the distinguishing of spirits, to another various kinds of tongues, and to another the interpretation of tongues. But one and the same Spirit works all these things, distributing to each one individually just as He wills. For even as the body is one and yet has many members, and all the members of the body, though they are many, are one body, so also is Christ. For by one Spirit we were all baptized into one body, whether Jews or Greeks, whether slaves or free, and we were all made to drink of one Spirit. 1. Paul states "no one can say 'Jesus is Lord' except by the Holy Spirit." 4. We become a part of this body through baptism by the Spirit (verse13 above). Therefore, the baptism of the Holy Spirit happens at the point of regeneration and indwelling. Although they are different in scope (the baptism is a one time event, the indwelling of the Spirit is continuous), every believer enters the body of Christ at the time of conversion. Further, note the passage says that each person is given gifts from the Spirit, but they're not all the same. One may be given tongues, but another may have a different gift. Ultimately this means that if everyone who is saved is baptized by the Spirit, but the Spirit doesn't give everyone the gift of tongues, then the gift of tongues are not a proof of salvation. In fact, Paul categorically denies this when he writes, "All do not have gifts of healings, do they? All do not speak with tongues, do they? All do not interpret, do they? (1 Cor. 12:30)." If the Bible teaches that not everyone has the gift of tongues, then how can this be a required sign of salvation? In fact, the belief that speaking in tongues is a manifestation of salvation is a relatively new phenomenon. Vinson Synan, Ph.D who is now dean of the school of Divinity at Regent University researched and wrote about the modern Pentecostal movement. Far from being a detractor, his article is published on the Oral Roberts University website. Dr. Synan writes, "The first person to be baptized in the Holy Spirit accompanied by speaking in tongues was Agnes Ozman, one of Parham's Bible School students, who spoke in tongues on the very first day of the new century, January 1, 1901" 1 So baptism of the Holy Spirit as the modern Pentecostals define it is not known historically in Christendom. The only point we haven't yet discussed is the filling of the Spirit. The Spirit can indeed at certain points fill us with His power to specifically accomplish tasks or to help us in our witness. The filling is shown various places in scripture (Luke 1:15, Luke 1:67, Acts 2:4, Acts 4:8, Acts 9:17 and others) and is recorded as happening to the same individuals on more than one occasion. As an example, Paul was filled with the Spirit in Acts 9:17 and again in Acts 13:9. So the filling of the Spirit is given by God for special service or ministry, but believers are not limited to it being just that. They can live their lives in fullness of Spirit (Acts 6:3) and thereby bring forth the fruit of the Spirit (Gal. 5:22ff). The gifts you receive from the Spirit are not tied directly to the filling of the Spirit, but the Spirit's filling will allow you to exercise your gifts more effectively. I realize that this is a huge topic and we've realty just scratched the surface of it here. o really understand the full role of the Holy Spirit, you may want to get a good systematic theology book such as Systematic Theology by Wayne Grudem (Zondervan Corp., 1994).Please let me know if you have any confusion about what I've laid out above. Hopefully, this discussion will help you to discern more carefully how the Holy Spirit works in your life and how you can best please God . Image courtesy Waiting for the Word and licensed vai the Creative Commons Attribution 2.0 Generic (CC BY 2.0) Generic License.